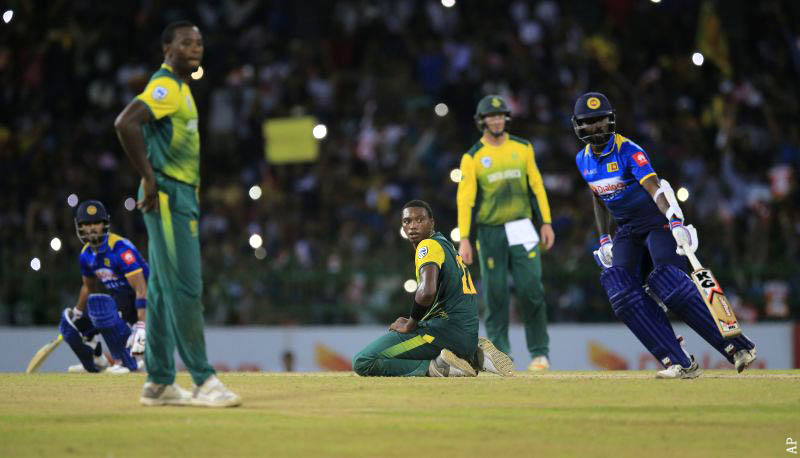 COLOMBO: Spinner Lakshan Sandakan starred in Sri Lanka ‘s hard fought three-wicket win over South Africa in the only Twenty20 international after bowling out the visitors for their lowest total in the game’s shortest format. 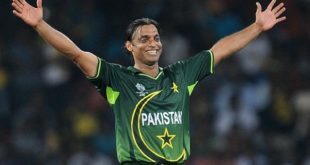 Electing to bat in the only T20 match of the tour, South Africa were bowled out for 98, a total the hosts surpassed with four overs to spare. 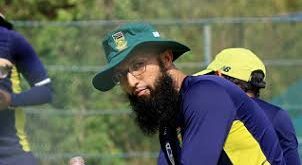 The Proteas, who lost the two-Test series 2-0 and then came back to clinch the one-day internationals 3-2, were two runs less than their previous low score of 100 against Pakistan in 2013. Dinesh Chandimal, who returned from his ban for breaching the spirit of the game, remained unbeaten on 36 to guide the team home in a tricky chase. But it was Sandakan’s bowling figures of 3-19 with his left-arm wrist spin that set up the win. He was ably supported by fellow spinners Dhananjaya de Silva and Akila Dananjaya who took two wickets each. Wicketkeeper-batsman Quinton de Kock top-scored with 20 before being run out but the rest of the South African batting fell flat in 16.4 overs. Sri Lankan batsmen also made heavy weather of their 99-run target as the South African bowlers led by paceman Kagiso Rabada made the hosts work hard for their win. 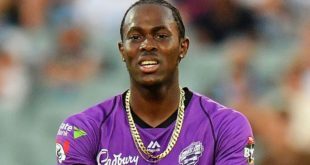 Rabada, fellow paceman Junior Dala and spinner Tabraiz Shamsi took two wickets each. From a comfortable 59-2 the hosts slipped to 88-7, but Chandimal kept his calm during his 33-ball stay that laced with 3 fours and 1 six. Chandimal, 28, was banned for two Tests and four ODIs after refusing to take the field against West Indies following ball-tampering allegations in June. 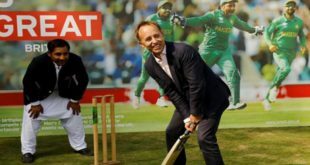 Sri Lanka now host England for a full series in October-November while South Africa travel to Australia for three ODI matches and one T20 during the same period. Dananjaya de Silva was named Player of the Match. “Nothing much (what was special? ), I was just playing according to the situation. It was a good pitch, 130-140 would have been a good total. Very much (enjoying bowling spin v South Africa?). The new ball was coming onto the bat,” he said.